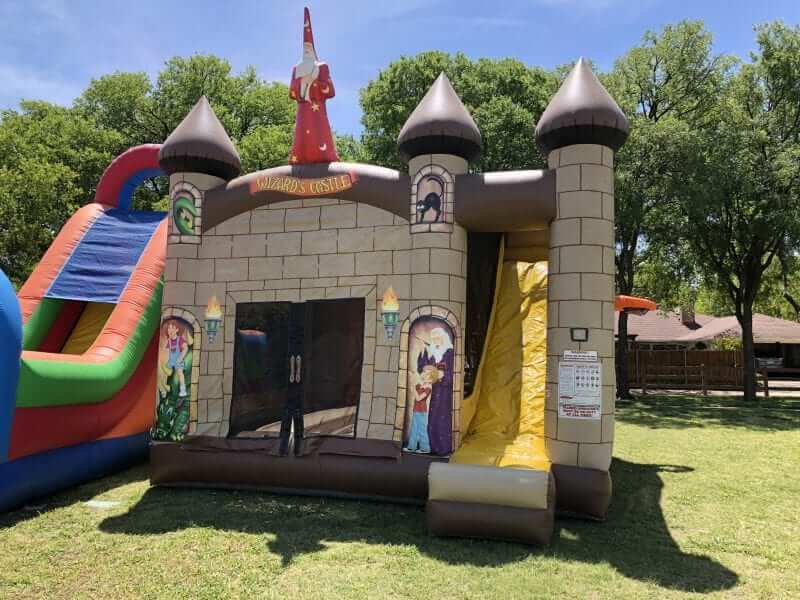 At 140 square feet, our bouncing area is much more larger than any of our competitors combo bouncer rental units. We’ve also included a Basketball Hoop outside to give the kids another fun activity to do. This Castle combo is awesome. Top that off with 13′ slide with a 50 degree sliding angle (even the 13 year olds will get a rush) and you’ve got yourself a sure winner! We’ve also included a completely enclosed sunscreened mesh cage over the entire top and sides of the slide. This prevents kids from climbing or falling out of the unit. In addition, we’ve also designed the unit so that kids cannot stand up and jump off at the top of the slide preventing any unnecessary accidents. With our front loading slide, you can supervise the entire ride from the front of the unit.